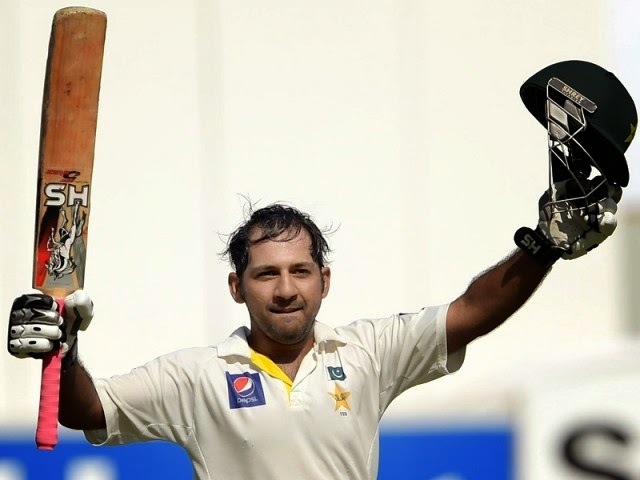 Dubai: Sarfraz Ahmed getiing rewards for his good bating, records have been collapsed into his swing, most Test centuries in a year to become the world's second wicket keeper. He pushed back the other Pakistani keeper Kamran Akmal in the record book, He is now just behind Andy Flower, AB de Villiers and Adam Gilchrist . According to the details in the first innings of the second Test against New Zealand Sarfraz Ahmed scored 112, his third Test century this year, more than 4 centuries in a calendar year by wicketkeepers AB de Villiers who did that last year .